Lit. town below the castle. A castle town. A town's fortress was located as a rule in a mountain, while the accompanying settlement of farmers, craftsmen, and merchants was located in a lower location below the mountain. In the case of a medieval castle, the settlement was temporary and the market was held only periodically. Early joukamachi date back to the Kamakura, the Nanbokuchou and Muromachi periods. 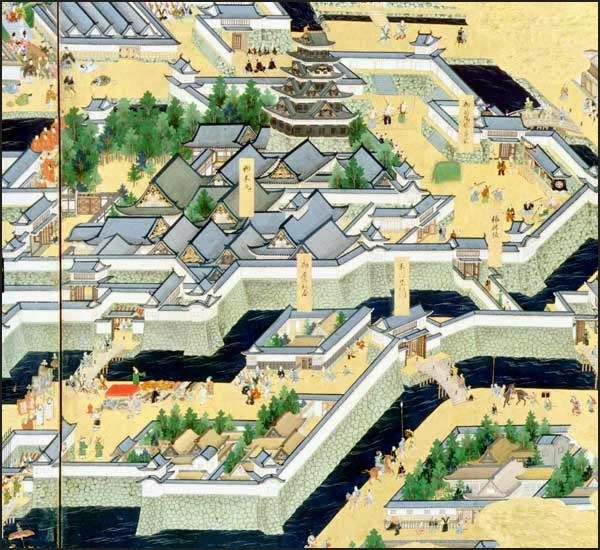 In the Momoyama and early Edo periods as the castle structures became more durable, the attendant settlements became permanent, some eventually growing large and prosperous. The term joukamachi came to mean castle city, jouka tokai 城下都会. Castle towns were sometimes laid out to surround the castle. Sometimes the whole castle town was surrounded by a compound, or the castle town would be protected on three sides by water. Military and aristocratic residences, temples and shrines, and merchant residences commonly made up a castle town. Each class of structure often was grouped together hierarchically within the overall town plan. Frequently, but not always, the town was laid out on a grid. The roads of a castle town were frequently quite narrow, turned and twisted around, sometimes doubling back and ending in dead ends, helping to defend the town against enemy attack.
. Edojoo, Edo joo 江戸城 Edo Castle . Chofu had been the centre of culture and politics from ancient times to medieval period, as it entered modern history, Moori Hidemoto built Gomangoku in Chofu-han, thus Jokamachi (castle town) was born. Due to the feudal warrant in Genna period, the castle was abandoned. What left of it now is only stonewalls. You can find remains of samurai families housing in different sizes in the street layout today, it comes from the feudal period since Moori moved in, there is samurai-machi as you enter Yamate, as well as housing area for high ranking vassals. The remains of earthen walls today still display the richness of its history. 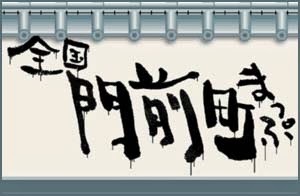 The richness of a domain in the Edo period was calculated in bushels or bags of tax rice (koku, -goku) and 150.000 barrels was not that much, but Shiki was proud of his hometown. Nowadays the word "jookamachi" is often used with a lot of nostalgia for the good old times in the Edo period. The castle of Matsuyama is right up on a large hill, overlooking the city and can bee seen from many small streets in the town. now Nihonbashi . Kodenmachō 小伝馬町 Kodenmacho . 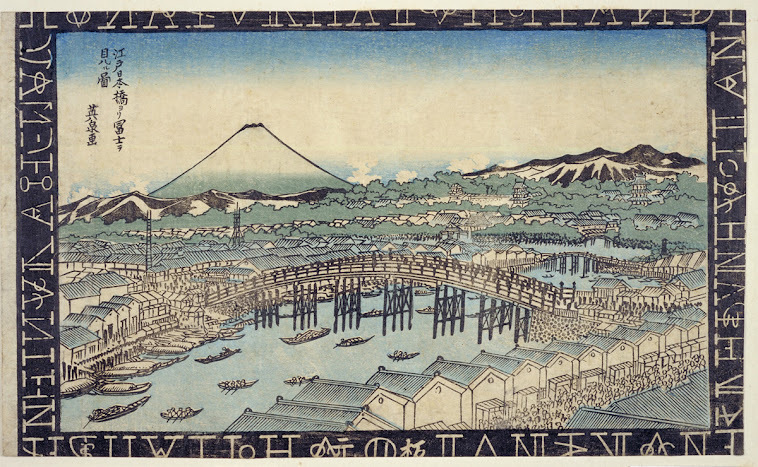 Since many rice dealers lived here, trading in KOKU of rice bushels gave rise to the name. 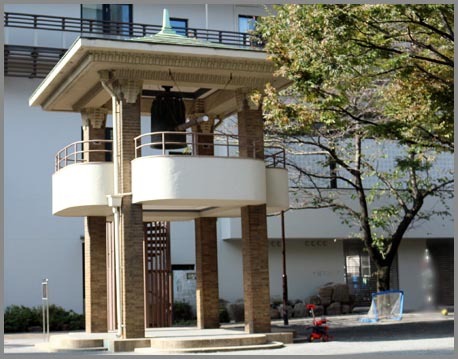 At the third 三丁目 Sanchome, there was the famous .
. toki no kane 時の鐘 The Bell to Tell the Time . Ambassadors coming from Nagasaki for the Edo visit used to stay here and many doctors living nearby enjoyed to talk to the foreigners to increase their knowledge of the world outside Japan. Herberge der Niederländer in Edo, "Dutch Inn"
The owner, 長崎屋源右衛門 Nagasakiya Genemon was also a dealer of 薬種問屋 medicinal herbs. Other lodgings for foreigners in Kokura and Osaka were named "Nagasakiya. In Kyoto the inn was named 海老屋　Ebiya.
. rangaku 蘭學 / 蘭学 "Dutch Learning" . (Was Edo really a "closed country", with the Nagasakiya and the Dutch In?
. sakoku 鎖国 "closed country" . I do not know where Kyoshi was when he wrote this. There are quite a few "ichimangoku" in Japan. For example Yasugi town in Tottori, former Hakuta Cho 伯太町.
. WKD : yaya samu 漸寒 a bit cold in autumn .
. WKD : honkadori 本歌取り allusion to another poem . The han (藩, han) or domain is the Japanese historical term for the estate of a warrior after the 12th century or to a daimyo in the Edo period and early Meiji period. In Japan, a feudal domain was defined in terms of projected annual income. This was different than the feudalism of the West. For example, early Japanologists like Appert and Papinot made a point of highlighting the annual koku yields which were allocated for the Shimazu clan at Satsuma Domain since the 12th century. In 1690, the richest han was the Kaga Domain with slightly over 1 million koku.
. Murakami Kijo 村上鬼城 . 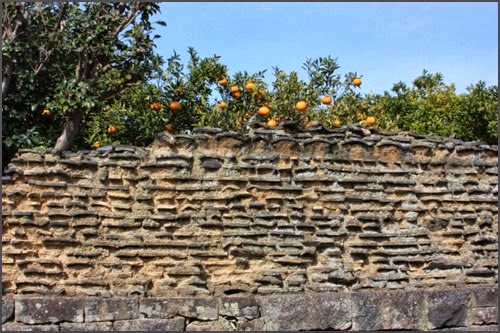 natsumikan are a speciality of the castle town of Hagi 萩, Yamaguchi.
. WKD : natsumikan, natsu mikan 夏蜜柑 summer mikan tangerines .
. Kooda Rohan, 幸田露伴 Koda Rohan . He lived in Kagyu-An 蝸牛庵 "snail cottage". 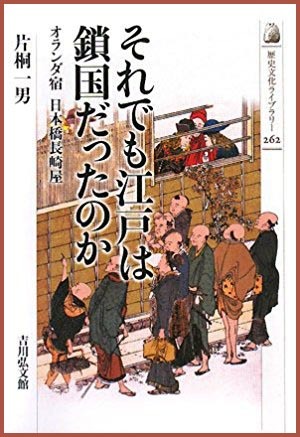 - Kagyuuki 蝸牛忌 "Memorial Day for the Snail"
They were especially prosperous with pilgrims during the Edo period. A settlement in front of the main gate of a temple (or *torii 鳥居 of a shrine), principally engaged in catering to the needs of pilgrims and visitors. Generally a linear settlement made up of houses, inns, hatago 旅籠, and shops mostly selling food and drink or local products on both sides of the approach road to the temple or shrine. Such settlements may often have derived from a market, ichiba 市場, held before the gates of a major sanctuary in the latter part of the ancient period and the mediaeval period. 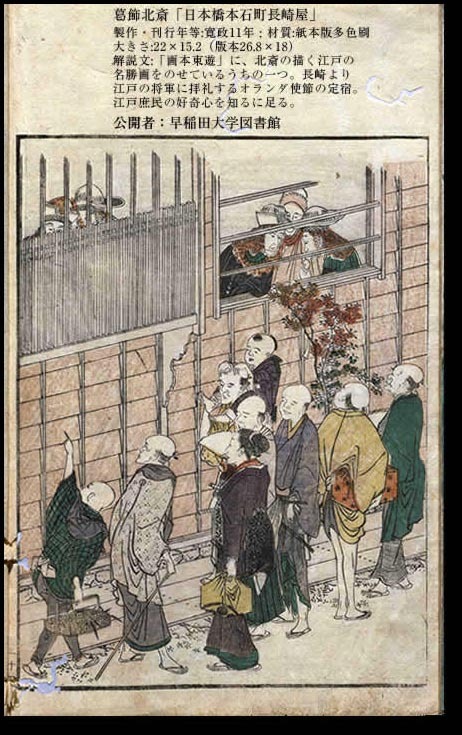 As specifically pilgrim-oriented townships, they had begun to emerge by the end of the Kamakura period, but they developed enormously in the Edo period, when peaceful conditions and prosperity, combined with a tolerant attitude towards them on the part of the Tokugawa regime, made pilgrimages increasingly popular. Examples include the monzenmachi before the gates of Zenkouji 善光寺 Zenko-Ji in Nagano prefecture and Kotohira 琴平, before the shrine of Kompira 金毘羅 in Kagawa prefecture. 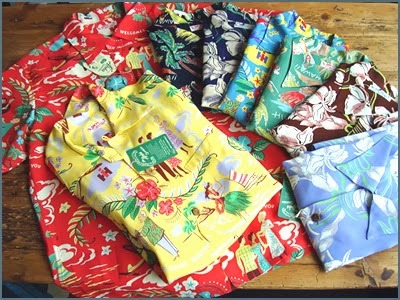 The term is sometimes applied more widely to religious settlements in general.
. WKD : hatsugoyomi 初暦 "first calendar" .
. koyomi uri, koyomi-uri　暦売り vendor of new calendars .
. WKD : aroha shatsu アロハシャツ aloha shirt .
. mon, kado 門 gate .
. machi, choo 町 town and village .